Hello readers! (All what, 5 of you anyway! :D ) Here's a few more shadows that came with my most recent order of LOR-crack. 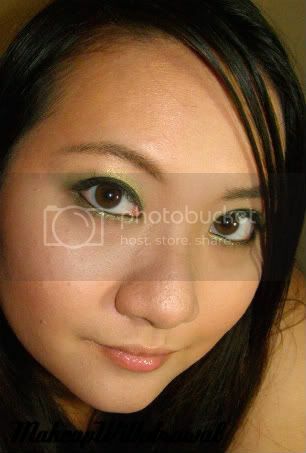 There's a reason why these last few shades of eye shadows from the VIP section are all greens. I'm terrified of true greens. Don't get me wrong, nothing makes my heart beat like a good olive. But send a bright yellow green or forest green my way and I'll have no idea what to do with it. 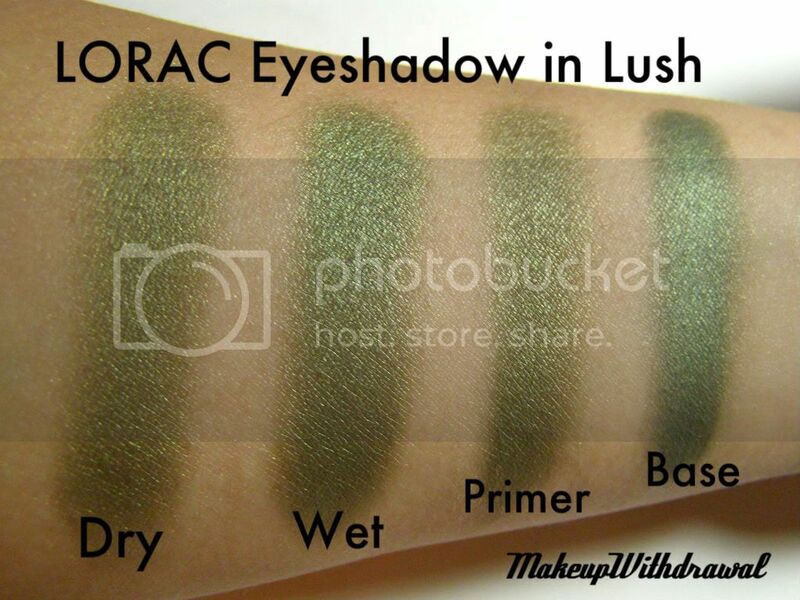 So of course, despite my great experience with LORAC shadows, I was hesitant to order the last of them; Jade, Lush and Goddess (the descriptions made them sound really really green! I was frightened!). Before I ramble any further- swatches! Yes, two of them are done indoors under natural light bulb. I did Goddess outside but then it was overcast. 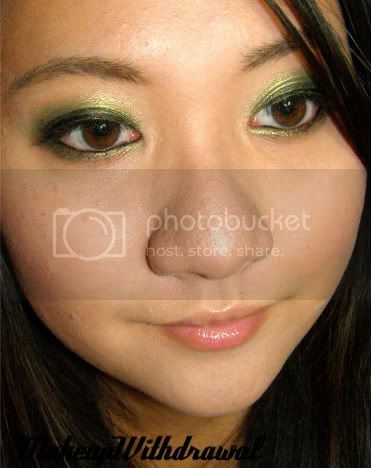 Lush is a shimmery swamp green with a slight sheen. 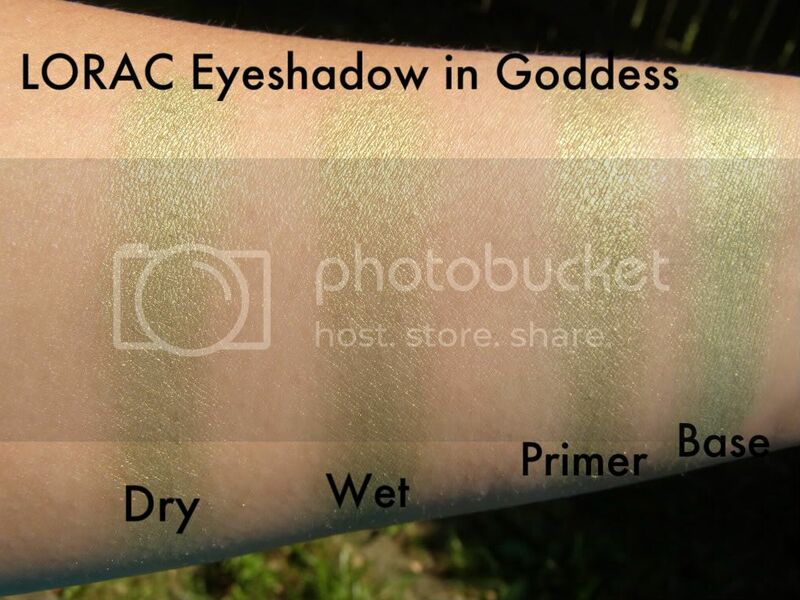 Goddess is a bright yellow green shimmer. Jade is nothing like it's name, but a blackened green base with bright olive sparkle. Lo and behold, I had nothing to be afraid of. 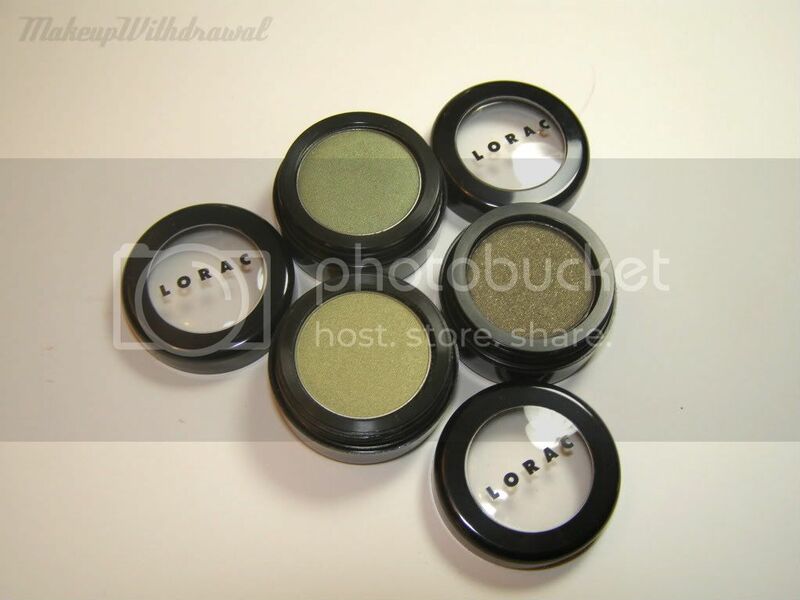 Though at first strange and unfamiliar to me, I quickly found out that these colors when used together made a fantastic green smokey eye. I'm gonna call this look Peaches'n'Green! 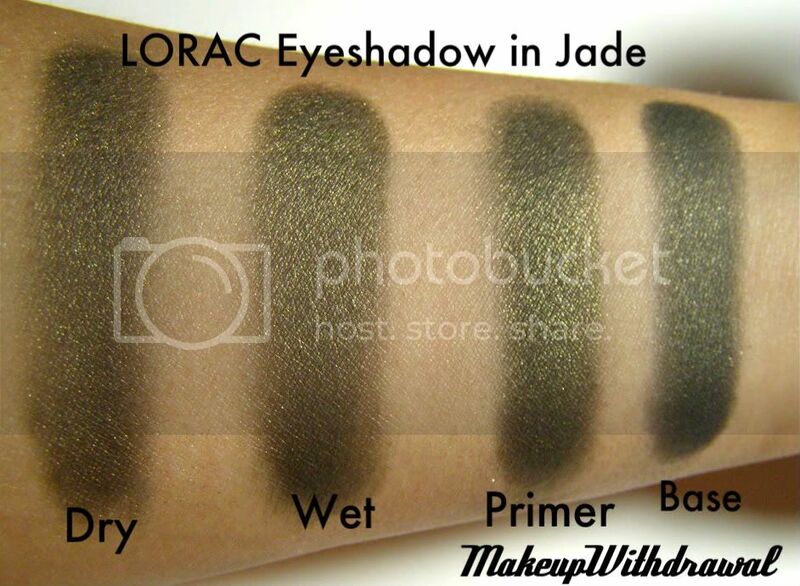 Eyes: WnW Creme Liner, UDPP, LORAC Goddess, LORAC Lush, LORAC Jade and falsies.